Joyetech CuAIO D22 Kit is a sleek all-in-one style vape pen that integrates a built-in 1500mAh battery and a max 3.5ml capacity. The CuAIO D22 features top flip to open refill and adjustable top airflow system with child lock design. It is a good choice for those who prefer mouth to lung vaping. 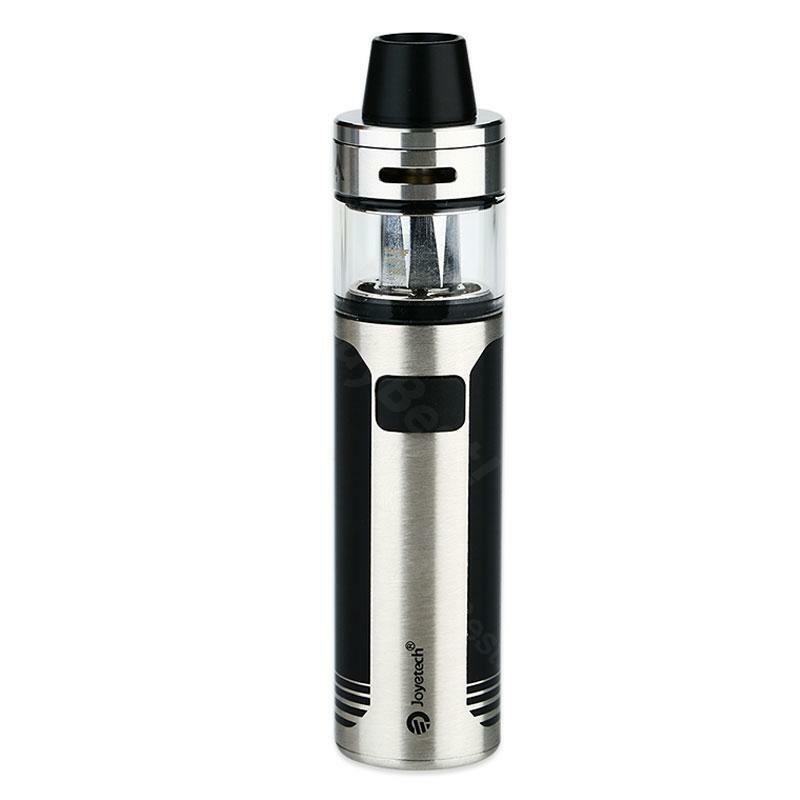 As an all-in-one device, the Joyetech CuAIO D22 Kit integrates a built-in 1500mAh battery and a max 3.5ml capacity. It adopts convenient top e-liquid fill system and adjustable top airflow control. The CuAIO D22 vape pen also has innovative child lock design to ensure security, which also meets the demand of TPD regulations. It utilizes 0.6ohm ProC-BF head, which brings more restricted draw for mouth to lung vapers. With its sleek and tiny size, the Joyetech CuAIO D22 is a comfortable vaping kit to carry and vape. • You can purchase ProC-BF/ProC-BFL replacement coils. Excellent device! Much more than what you paid. i love joyetech! Nice start kit for beginners like me. Good price and service. Bought joyetech CUAIO kit for my girlfriend. She loves it! Small and good quality. Easy to use. She might want one more in another color. My friend recommeded me this CUAIO D22 kit. I'm very new to vaping. This kit seems pretty awesome. Simple to use and looks nice in hand. Feel like i'm a vaper now lol.